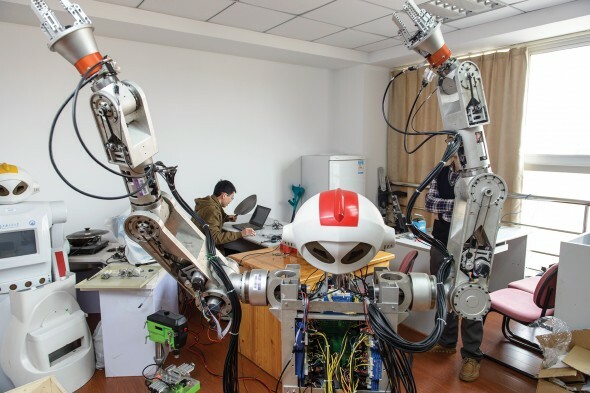 June 8, 2016 | ProgressTH MIT Tech Review recently published an article about how China is attempting to maintain its status as the "world's factory" by adopting robotic automation across its labor-intensive factories. 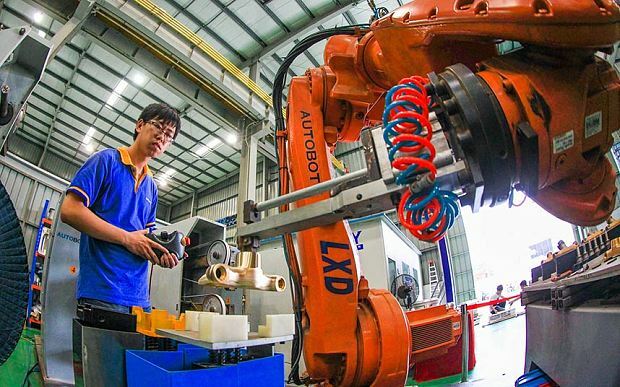 The article describes how wages are increasing in China in relation to other regional manufacturing hubs like Thailand and Vietnam, and to stay competitive, China is turning to technology. In South Korea, for instance, there are 478 robots per 10,000 workers; in Japan the figure is 315; in Germany, 292; in the United States it is 164. In China that number is only 36. The article also shares the details of efforts being made by China to increase the number of robots used in manufacturing which includes increasing imported robotic systems from abroad as well as developing China's own robotic industry. The article also points out that newer industrial robots like Boston-based Rethink Robotics' Baxter and Sawyer models cost only tens of thousands of dollars versus the hundreds of thousands typical industrial robots cost. While MIT Tech Review concludes that this effort may eventually be successful but setting the stage for social upheaval as nearly 100 million manufacturing jobs in China may be put in some degree of jeopardy by automation, there are two obvious trends with very obvious implications the article failed to note. The article brings up two trends evident in the shift toward automated manufacturing. The first is the reduction in cost for industrial robots. Just like other manufacturing processes like rapid prototyping which too once cost thousands of dollars for a single machine but are now showing up in people's homes on their desktops, industrial robots will inevitably become so cheap that small and medium businesses will be able to afford tomorrow what only massive manufacturing firms can afford today. MIT Tech Review also points out that China is investing in the development of its own industrial robots. This indicates a trend not only in the lowering cost of industrial robotics, but a decentralization in their development and deployment. If China can develop its own industrial robots today, other nations around the world will likely soon be able to develop their own as well. This will not only contribute to dropping costs, but will offer economic opportunities for many more people, including perhaps many of those whose jobs today are being put in jeopardy by this very shift toward automation. In the future there will be no manufacturing hubs or "factories of the world." There will be a shift toward global decentralization of manufacturing, a greater number and diversity among companies and even individuals engaged in manufacturing, as well as a paradigm shift in how goods are manufactured and distributed to consumers around the globe. There really is no reason to outsource manufacturing overseas or order parts and products from abroad that can just as easily be manufactured by local microfactories on your block or in your city. 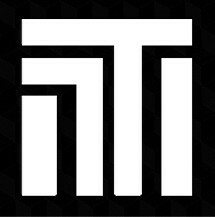 With makerspaces and now microfactories already fulfilling this role in a very tentative and limited capacity, we already have a proof of concept to look at and consider when thinking about the future of manufacturing. And as existing microfactories are already proving, the nature of future factory capabilities will not be mass manufactured items, but rather the quick and efficient custom manufacturing of exactly what customers and consumers want, when they want it. With the advent of microfactories, we are ensured a future where manufacturing is decentralized with no single nation serving as the "world's factory." We can imagine the final destination of China's efforts to shift toward automation. It will include vastly cheaper industrial robots more capable than the industrial robots of today, and affordable to a wider range of potential entrepreneurs both big and small. It is perhaps ironic but necessary that efforts to maintain the "world's factory" will eventually ensure that no such thing will exist in the future. However, it is a transition that will be made with or with China's current efforts to move forward. At least now, China itself is the one guiding the disruption of its own manufacturing paradigm, a paradigm that has propelled China's rise economically and perhaps by doing so, China can continue to rise further still. What will be interesting to watch over the coming years is how the fruits of China's efforts to develop its own industrial robotic industry affects its neighbors. Here in Thailand, a large number of more traditional manufacturing systems are regularly imported and employed in localized manufacturing. It stands to reason that as Chinese industrial robots improve in quality and drop in costs, nations like Thailand will first adopt them, then strive to create local alternatives based on them. The opensource "Dobot" and others like it may lead to or meet up with affordable industrial robots anyone can use for their small, local business. 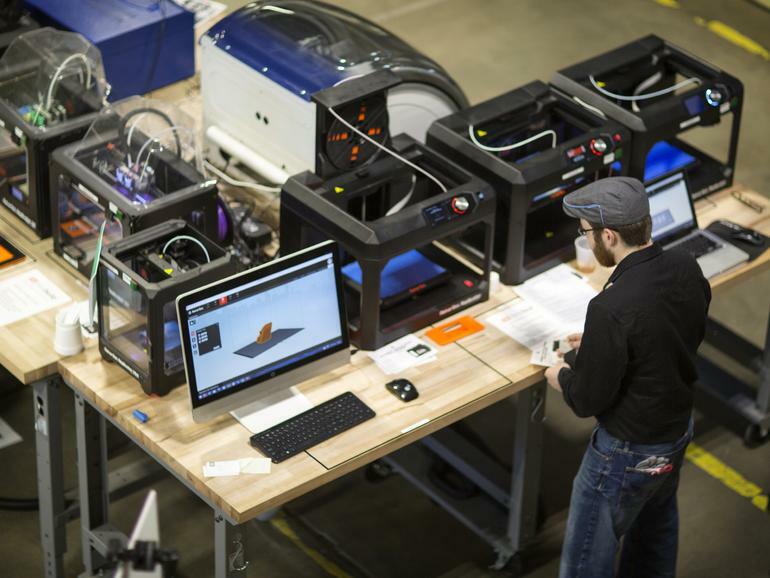 For makerspaces around the world, it could be the next big challenge since the advent of personal manufacturing and desktop 3D printers. What's even more interesting to think about is what sort of industrial robots designed specifically for home and makerspace manufacturing will be developed and rolled out by makers themselves. 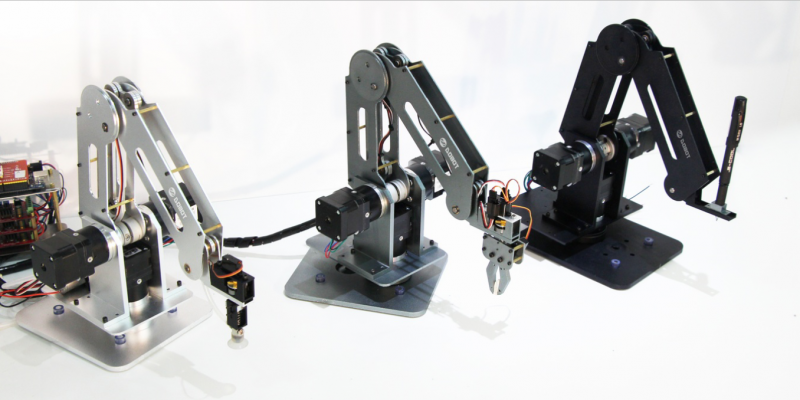 There have already been a large number of opensource robotic arms aimed at this like DoBot. While they are still a bit of a novelty with few practical applications, as technology advances we can expect the capability of these opensource systems to advance as well.